Taking a trip with your friends is always a sure shot fun to have loads of fun. But if you are taking a trip abroad with your friends, it will be the best time of your life. Recently, some classmates of mine from college and I were selected to go to a Model United Nations Conference in The Hague, Netherlands. I knew that I would have fun in the trip, but the experience of traveling with friends was more fun than I ever imagined it to be. The Conference was to last 6 days 7 days and we all had planned to stay for a total of 15 days in the Netherlands so that we could have enough time to explore the place in our own sweet time. Now the biggest thing I learnt from my trip with my friends is that if you really want to enjoy your travel, you should avoid making rigid timetables. Go at your pace, see what you see, enjoy your own way but also let other enjoy their way. 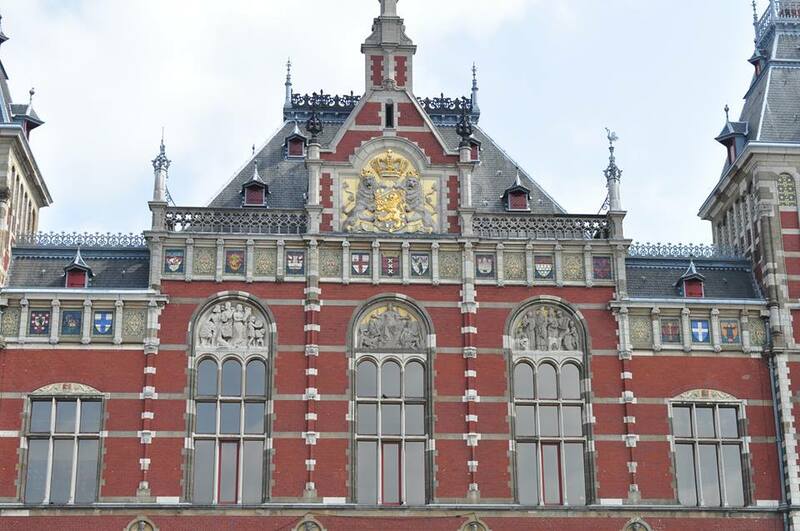 We were staying in The Hague, so every morning, we’d take a train to Amsterdam. The first thing we did as we reached Amsterdam was buy the “I Amsterdam” card. This card lets you skip queues at the museums, gives you discounts, and other additional benefits. 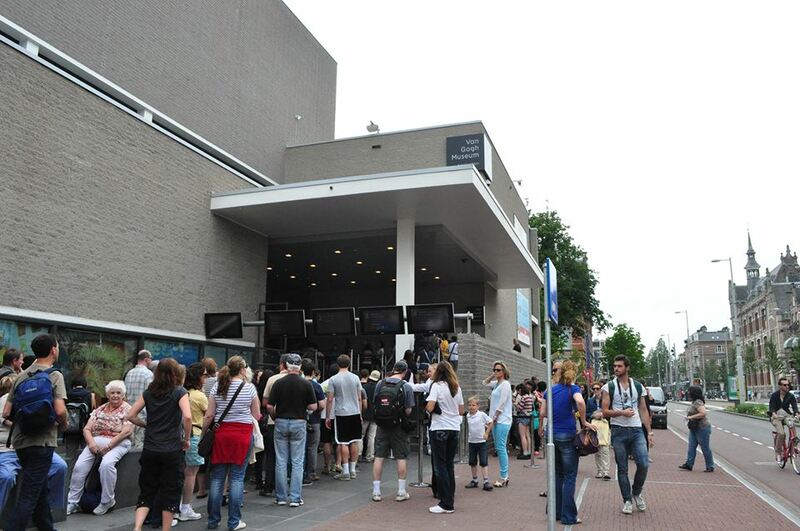 We went to the famous museums first- The Van Gogh Museum and the Rijksmuseum. They are pretty close by and the street joining them is lined with little cafes. So those of us who were not interested in the museums soaked in the activities of the busy street whilst sipping hot coffee. The transport in Amsterdam and other European cities in general is pretty expensive so we decided to walk it out around to city to truly get a feel of a European travel. Every nook, corner and niche of every street is so full of life that it overwhelmed all of us and we instantly fell in love with the city. Walking on the beautiful, cobbled roads along the numerous canals and its numerous old bridges transported us into a state of ecstasy. We then went to see the Heineken Factory. This is a place where you can see how the famous brand of beer- Heineken is made, have beer samples, and attend beer tasting lessons. It was a fun experience for all who enjoyed their beers. We decided we had done enough of tourist-y things for one day so we chilled at a café and then proceeded to the Daam Square. 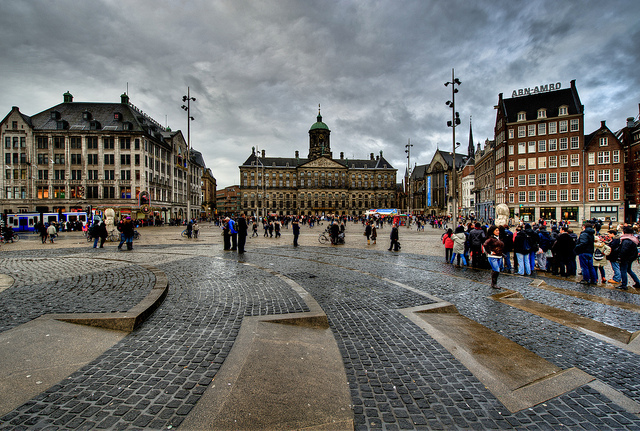 Daam Square is a huge town suqare where all the activities, exhibitions happen and the square is lined with some of the top brands and best restaurants. If you enjoy being the person who wants to see the most in whatever given time, you can visit the Madame Tussads and the Royal Palace. None of us were interested in either of these places so we sat on the ground square, relaxing, while some of us went to shop. 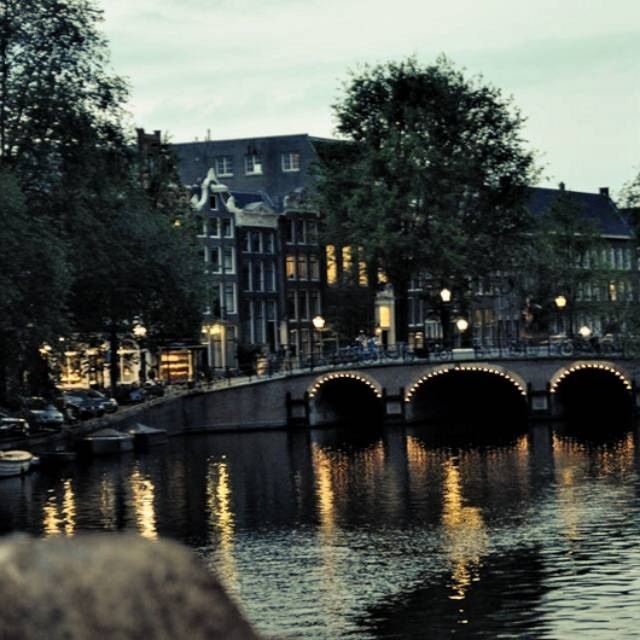 In the evening, we took a canal cruise which takes you around the canals. It’s a pleasant experience and some of the sights are breathtaking. Later in the night, after a sumptuous dinner, as we were heading towards the Red-Light District, we spotted an old, beautiful church and decided to step in. The church was very beautiful and was designed in the 1400s. 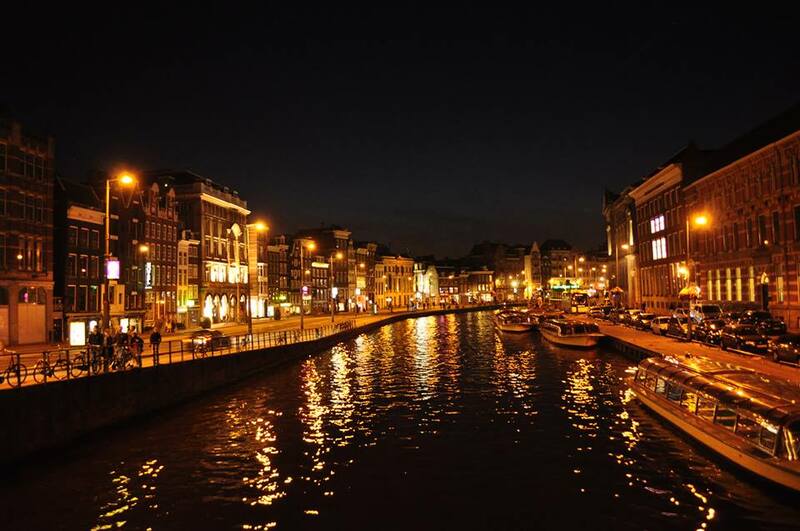 Red Light District is a famous district in Amsterdam where prostitution is legal. Photography is not allowed here. Later, we strolled past the canals until we spotted a night club and then danced the night away. The next few days too, we spent roaming around the streets of Amsterdam, aimlessly, without any itinerary or deadlines or curfew. We went to the things we wanted to see at our own sweet pace. And once we got tired of Amsterdam, we went to another Dutch city of Utrecht. 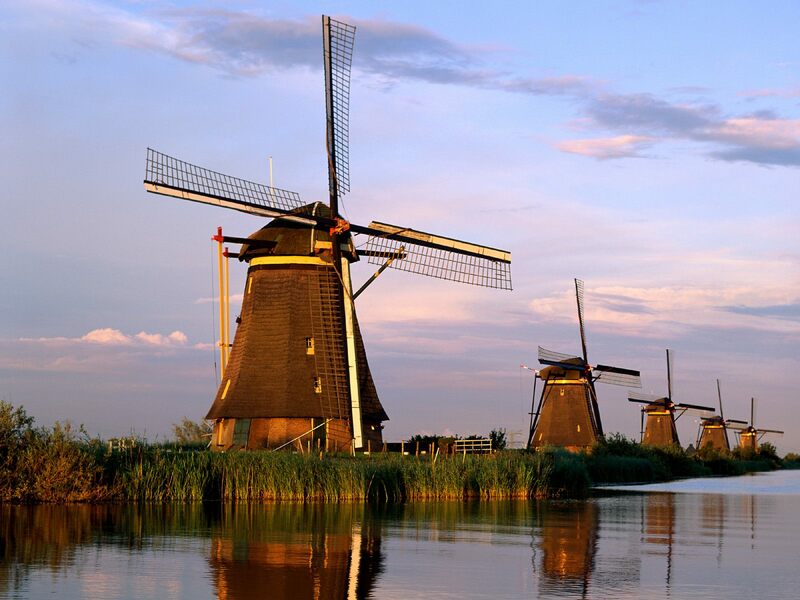 Utrecht is a small city with no attractions as such but its beauty will amaze you. 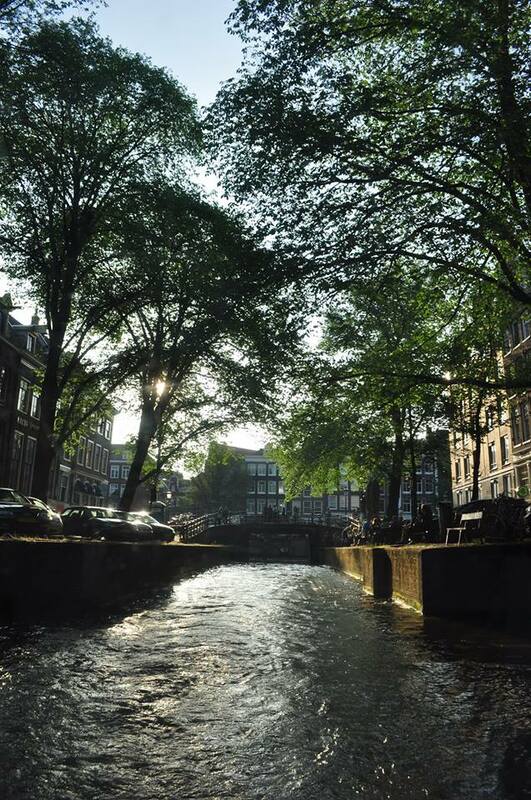 We strolled around Utrecht and ate lazy lunches and somewhere while discovering new cities, we discovered the joy of traveling as we like it. This trip changed me, as I decided that I never want to go back to the hectic scheduled trips. I decided to see every place, as and when I want to see it, how I want to see it. And I realized, that one must take that one trip with friends, anywhere in the world, to enjoy limitless.